Harrington Ltd in Howe outside Brighton was a company which was making bodies for many different vehicle makers, mostly for coaches but also for cars like Rolls-Royce, Bentley and Bugatti before WW II. 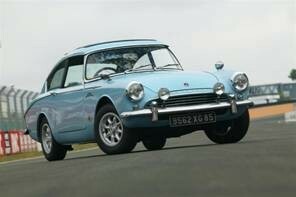 In the sixties sport scars were converted by Harrington Ltd like Sunbeam Alpine and Triumph TR4. 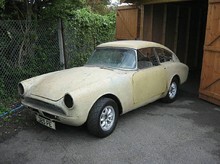 Four different models of Sunbeam Alpines were converted. 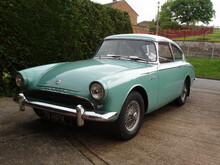 They were called Harrington Alpine, Harrington Le Mans, Harrington Alpine Series C and Harrington Alpine Series D. The Harrington converted models of Sunbeam Alpines were sold by Rootes dealerships. The company went out of business early 1966. 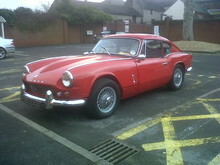 There is no club for just Harringtons but owners are welcome to any Sunbeam Alpine club. The Harrington Le Mans was introduced at Earls Court in October 1961. This was the model from Harrington Ltd. which was meant to be a large production, at least 1000 cars was the target. But in those days metal industries were not having their good days, strikes and lack of material were quite normal so also at Rootes factories. A production line was set up and in fourteen months 250 cars was made. Many were exported to USA and other European countries. The car has the same tuning as the winning Harrington Alpine at Le Mans. The Harrington Le Mans has a high standard interior and some optional extras could be added. The car looks different to the other models. There were no fins on the rear fenders and the space inside was very good especially when the back rest of the rear seat was folded down and easy to access because of the large rear opening. 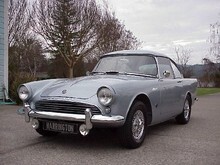 At the end of the production the Harrington Series C was also produced parallel until it stopped when Rootes changed the Alpine models from Series II to Series 3 in February 1963. The Alpine Series 3 has another angle of the windscreen. 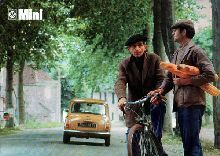 This model participated in many rallies in the sixties. 7' 2" 4' 2" 4' 0" 14' 11" 4' 6" 0 (19) 35' 0"